Following its initial launch at two Defence sites in 2017, Project Servator remains a vital policing and counter terrorism tactic for the Ministry of Defence Police. Project Servator Logo. Crown copyright. This month marks two years since the Ministry of Defence Police (MDP) launched Project Servator at HM Naval Base Portsmouth and the Atomic Weapons Establishment (AWE) sites in Berkshire. The MDP’s highly visible Project Servator deployments can now be seen at a range of sites and locations across the UK, including Defence HQ in Whitehall and HM Naval Base Clyde, and a surge capability is also available where required. So, what is so special about Project Servator and why is it such an important operational tactic for the MDP? The purpose of the MDP is to deliver unique specialist policing to protect the nation’s defence and national infrastructure, keeping its people and assets safe and providing visible and active policing, which reassures local communities. Project Servator is just one of the tactics used to achieve this and, alongside colleagues and partners across the UK, the MDP’s involvement is part of a bigger picture focused on counter terrorism and gathering intelligence. 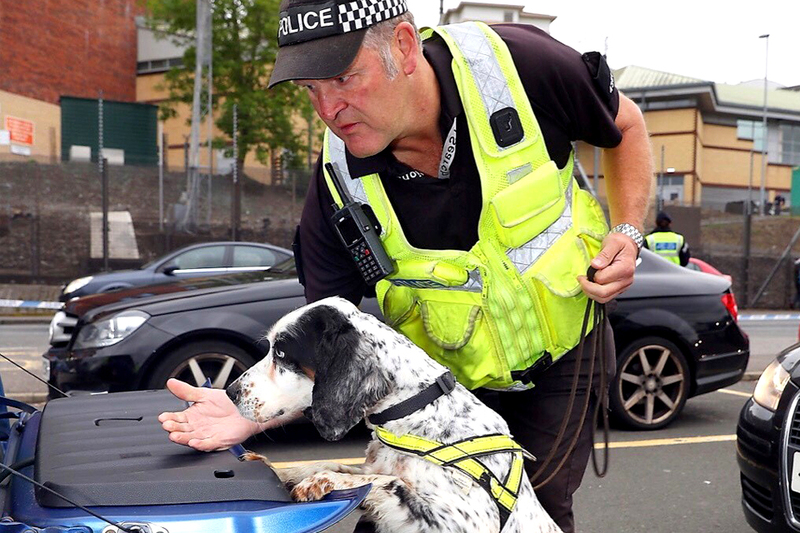 Police dog assisting with vehicle checks. Royal Navy/Crown Copyright. Servator is a Latin word which means ‘watcher’ or ‘observer’ and whilst this is an accurate descriptor of a Project Servator officer, it merely touches the surface of what is happening during these policing operations. Project Servator officers, in uniform and plain clothes, are not just “watching” and “observing”, they have been specially trained to spot the telltale signs of terrorist and other criminal activity. MDP Project Servator teams have identified an array of criminality ranging from the carrying of knives, weapons and drugs, to shoplifting, immigration and driving offences, to potential terrorist related activity. There is, of course, not always evidence of a crime but, where the officers believe that a person could be carrying out terrorist related activity, intelligence is shared with specialist teams for assessment and possible sharing with other policing colleagues. Use of police assets, such as dogs, armed officers, live monitored CCTV and vehicle checkpoints as well as joined up working with other police forces and security staff, are all major components used to keep the public and Defence community safe, whilst providing a reassuring police presence. 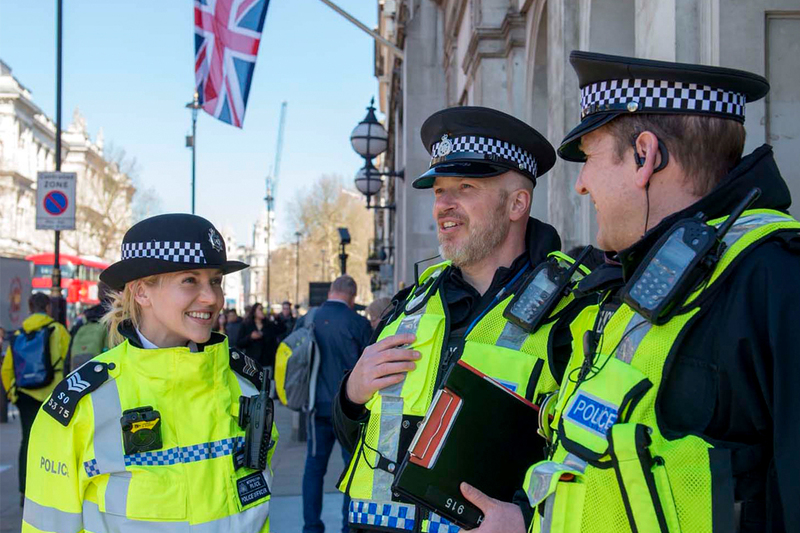 The MDP Whitehall team work as part of the pan-London team alongside colleagues from British Transport Police, City of London Police and the Metropolitan Police Service (MPS), with whom they frequently deploy in and around Westminster. Joined up working at Westminster. Paul Kemp/Crown Copyright. “Cooperation between the public, organisations, partners and the police is one of the most powerful tools to tackle the challenge that the UK faces from terrorism and, with the ongoing threat, this cooperation is more important than ever. Guidance on how to help, including what suspicious activity to look out for, is available on www.gov.uk/act.